Our product range includes a wide range of 1 cylinder 4 stroke petrol engine test rig, 1 cylinder 4 stroke diesel engine test rig, 4 cylinder 4 stroke diesel engine test rig, separating & throttling calorimeter, csm of actual 1 cylinder 4 stroke diesel engine apparatus and csm of actual 1 cylinder 4 stroke petrol engine apparatus. 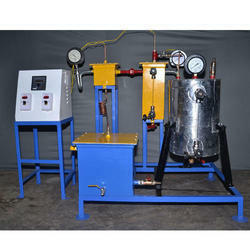 We are offering a wide range of 1 Cylinder 4 Stroke Petrol Engine Test Rig. The testing equipment is used for the purpose of analyzing the performance of the engine on various parameters such as power, efficiency, fuel consumption and air fuel ratio. To ensure a defect free range, this testing equipment undergoes in-house assurance checks by our team of quality controllers. Drain Provide drain pipe 1.5 Inch BSP size with suitable length. Our company holds expertise in offering premium quality 1 Cylinder 4 Stroke Diesel Engine Test Rig to our esteemed customers. Manufactured in accordance with the industry set standards, these test rigs are used for studying the engine performance. Power, efficiency, fuel consumption are some of the parameters that the engines are analyzed. Our organization is instrumental in offering optimum quality 4 Cylinder 4 Stroke Diesel Engine Test Rig to our valuable customers. 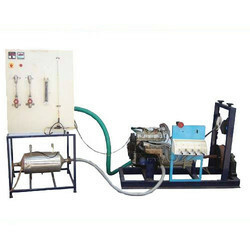 The offered test rigs are widely used for testing the engines’ performance on efficiency and fuel consumption parameters. 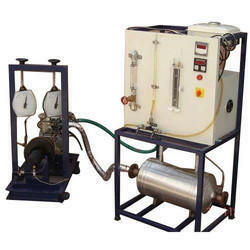 Owing to the hassle-free installation and optimum performance, these test rigs are highly demanded in the market. We are offering a wide range of Separating & Throttling Calorimeter. 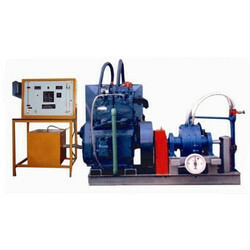 We are offering a wide range of CSM Of Actual 1 Cylinder 4 Stroke Diesel Engine Apparatus. We are offering a wide range of CSM of Actual 1 Cylinder 4 Stroke Petrol Engine. We are offering a wide range of C.S.M. Of Actual 1 Cylinder 2 Stroke Petrol Engine Apparatus. 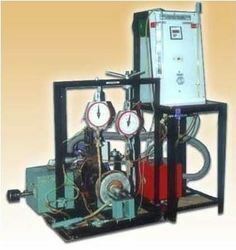 We offer 4 Cylinder 4 Stroke Petrol Engine Test Rig to our valuable customers. 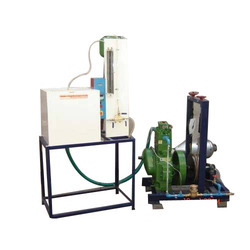 The offered testing equipment is manufactured from four cylinders, four strokes and a petrol engine, which are procured from well known vendors. Available with us at highly affordable market prices, this equipment is widely used for analyzing the engine performance. We are offering a wide range of Twin Cylinder Four Stroke Diesel Engine Test Rig. IC engines are widely used in automobile, domestic and industrial sector. They are classified according to cycle, a number of cylinders, the arrangement of cylinders, fuel used, type of ignition, the valve arrangement, cooling system. Test rigs are used to find out the performance of an IC engine. It consists of an IC Engine, dynamometer, fuel measuring, air intake measuring and various other arrangements.